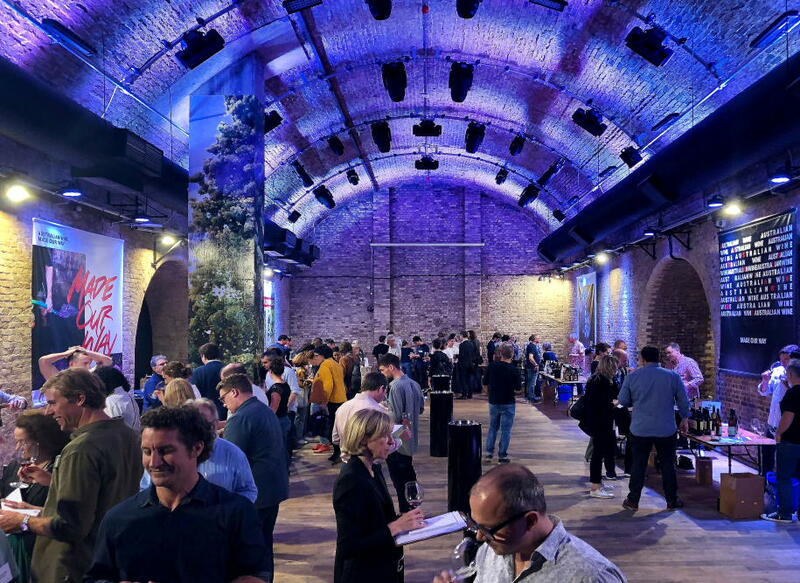 Innovative winemaking was much in evidence at last week’s Off the Vine tasting, which showcased many of the new and upcoming wineries that are making a sea-change in Australian winemaking. 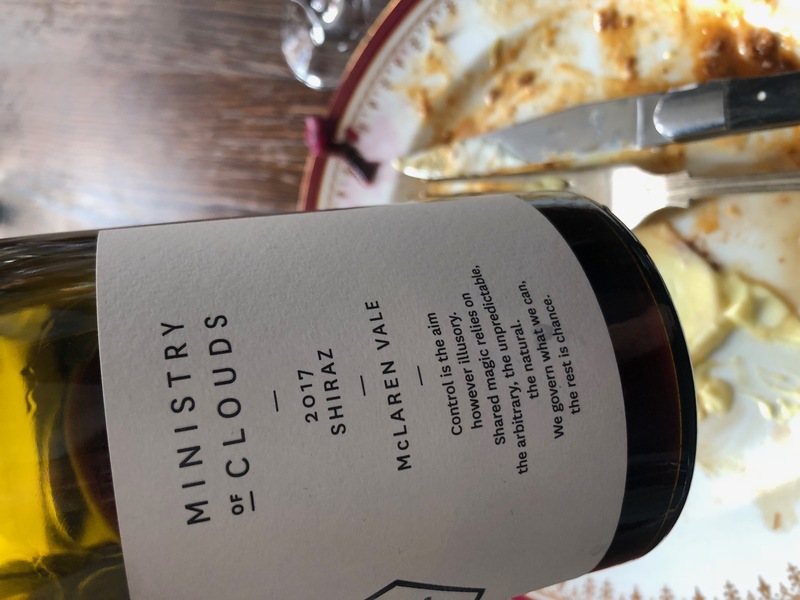 One of these producers is Ministry of Clouds that influential critic James Halliday rated as one of the most exciting new wineries when they started garnering critical acclaim in 2015. 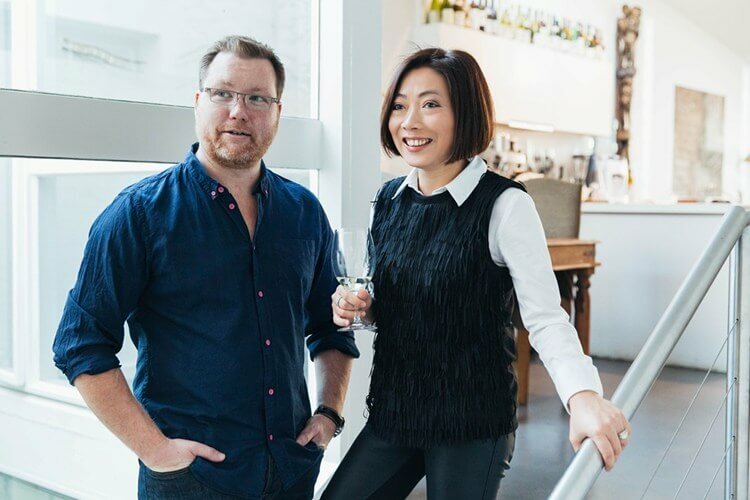 Chris Wilson met up with co-owners Bernice Ong and Julian Forwood to hear their remarkable story and to find out why it is acidity that is so key to their winemaking style. 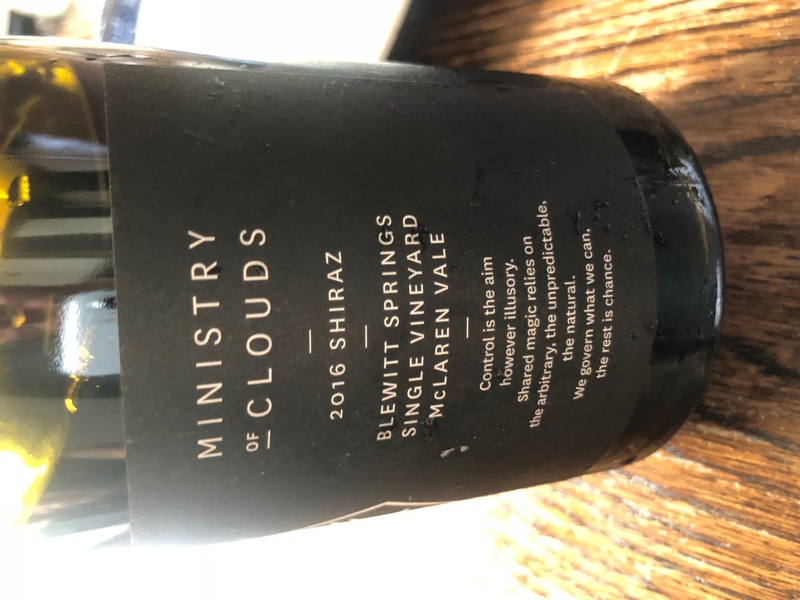 The McLaren Vale partnership of Bernice Ong and Julian Forwood is Ministry of Clouds. 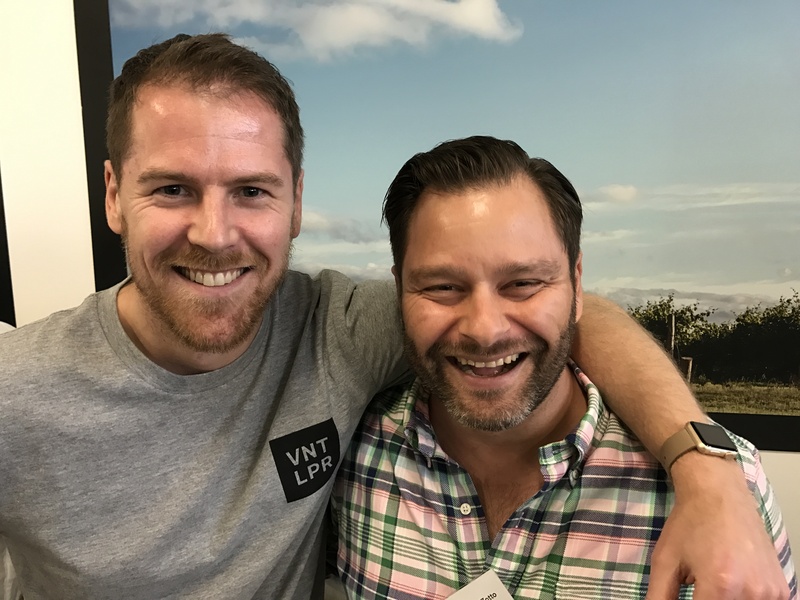 This duo (a pair of corporate refugees who couldn’t resist the cries of the winery) began making wine in 2012 and, over the past six years, have built up a collection of small-batch red and white wines made primarily from sourced fruit from McLaren Vale, Clare Valley and Tasmania. 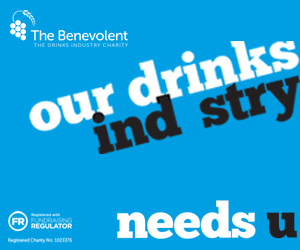 A clear line runs through all their wines, they operate with a lightness of touch, and only work with top quality fruit which they hand source and allow to speak for itself with as little intervention as possible. The wines are testament to this process – they are clean and precise, all sharing a laser-focussed acidity and upfront fruit profile. 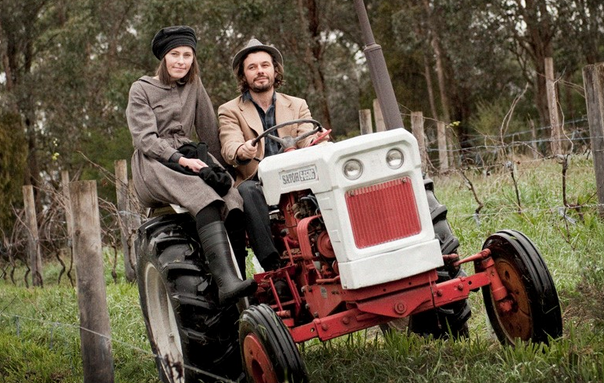 Bernice and Julian are pretty upfront too and full of brilliant stories about their winemaking adventures and previous lives on the other side of the wine curtain working in hospitality. 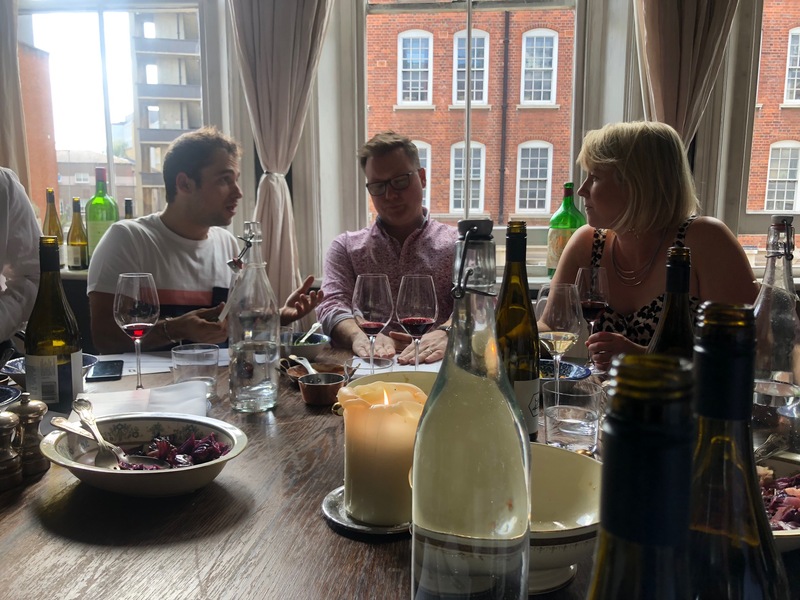 They shared these stories as well as their wines at a recent lunch and tasting in London, here’s what they had to say. 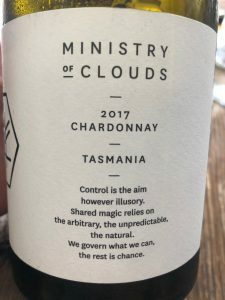 How did Ministry of Clouds first come about? 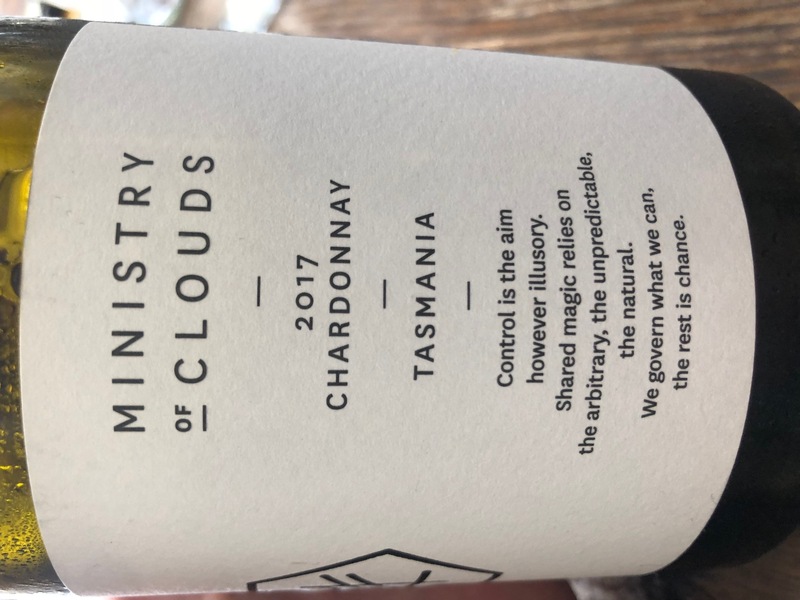 What’s the Ministry of Clouds winemaking philosophy? 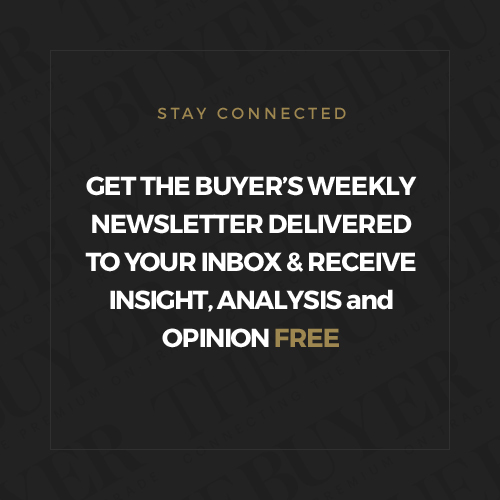 Do you own any vineyards? 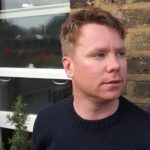 How do you decide which growers to work with? 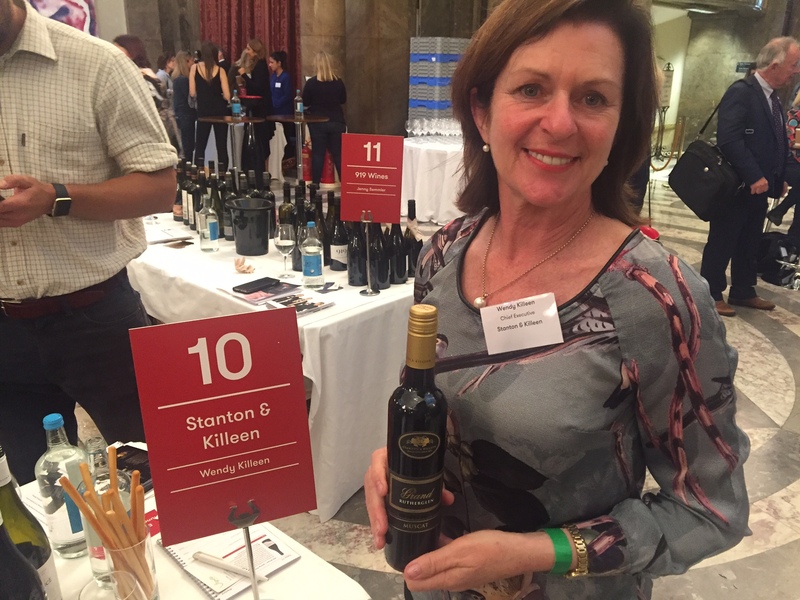 And so onto the wines themselves…. Hand-picked Clare Valley fruit spends 10-12 days on the gross lees pre-ferment which ‘adds texture’ according to Bernice. The wine is clean with a waxy mouthfeel and chalky bite. There’s an abundance of lime and lemon acidity and some delicate floral and tropical notes. Made in Tasmania from fruit from two different sites and a number of different parcels. Each separate parcel is fermented ‘wild’ with some lees stirring, then blended to fit the profile of the wine Julian and Bernice want to make each year. There’s incredible clarity and power here, a delicious lick of buttered popcorn which rubs up against the tree fruit and keen acidity nicely. 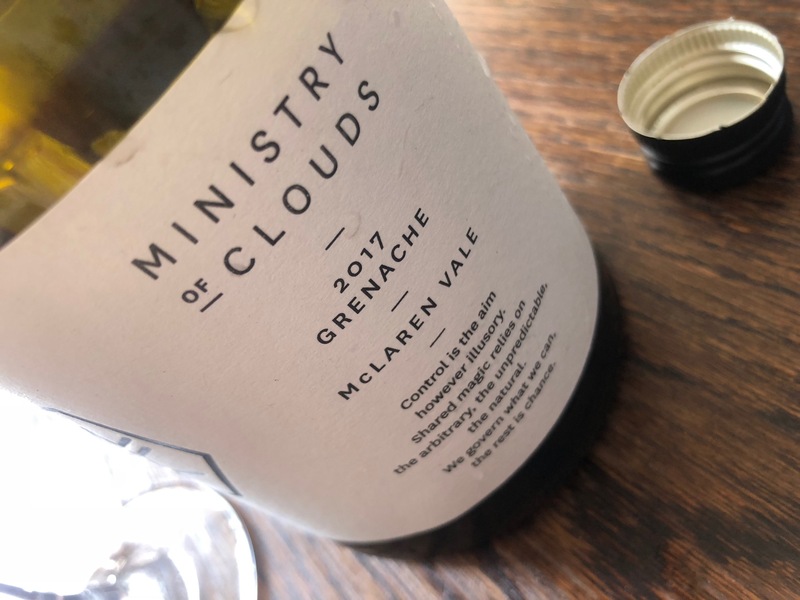 One of Bernice’s favourite quotes about Grenache is that “Grenache delivers what Pinot promises.” A bold claim, which is fully backed-up by this barnstorming wine. There’s grip and tannin but it’s restrained and well-engineered. There’s an abundance of fresh, ripe plum and strawberry fruit which is sumptuous, punchy and full. Aussie Grenache at its very best. 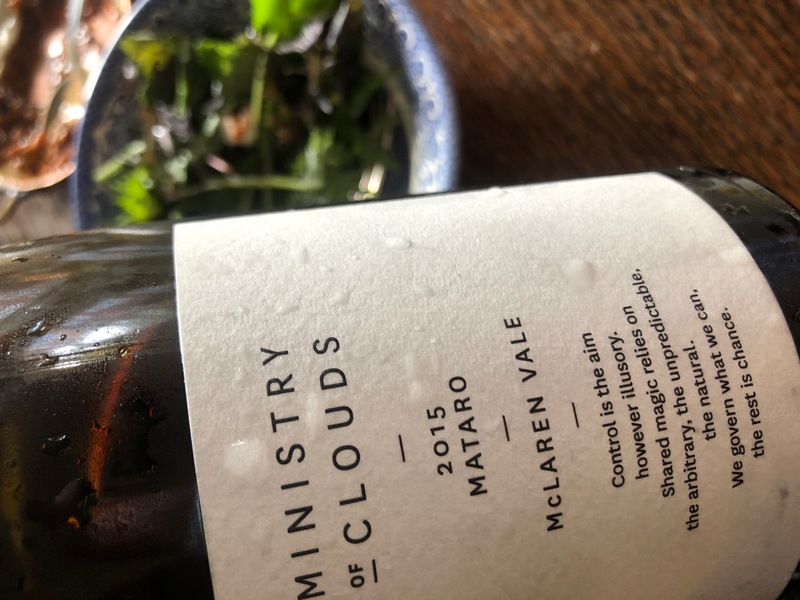 Fruit from a 70-year-old McLaren Vale vineyard goes into this. 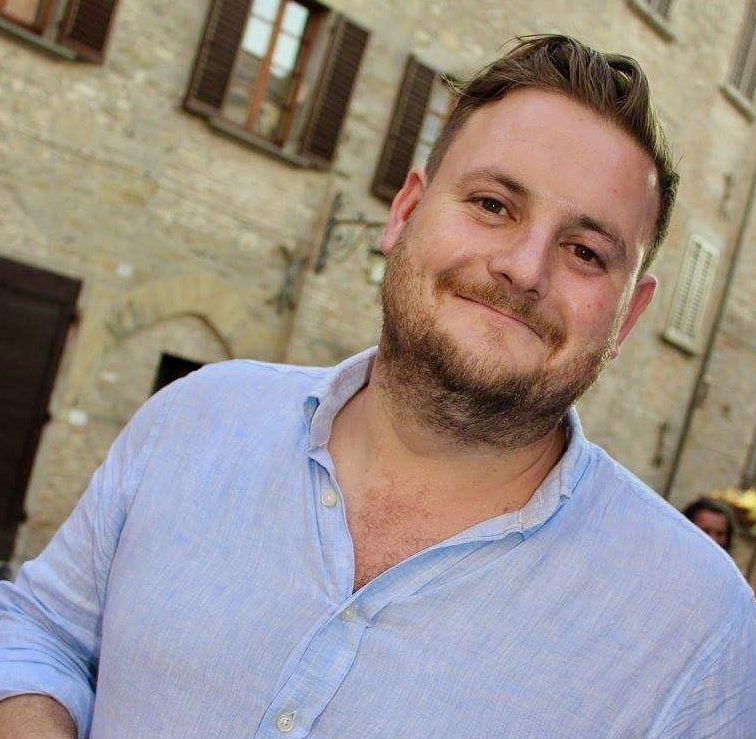 “It’s the wine which we want to be the voice of the variety from our region,” says Julian. It’s easy on the oak and the (relative) ABV, coming in at less than 14%. The fruit is upfront and striking with a mix of red and blue characters and a spicy lift at the end. Impressively smooth. 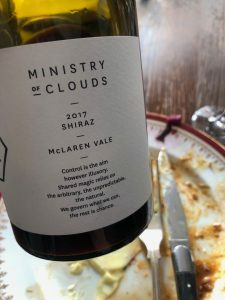 “There’s no point trying to polish Mataro because you end up with something that approximates Shiraz,” says Julian, who is his own largest customer of this wine. 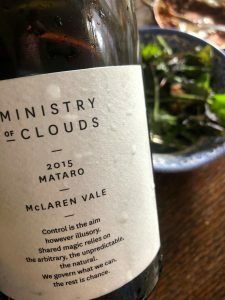 “We make Mataro because we cook with pork belly and lamb and we need something that can cope with fat,” he adds, justifying his decision to buy and consume the lion’s share of this wine! It’s chewy and full with iron filing tannins, crisp, acidic raspberry characters and softer developed plum notes. Bring on the animal fat! 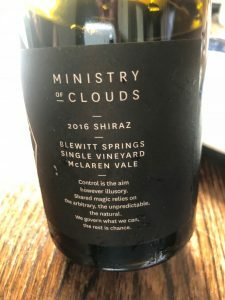 A single vineyard expression of Shiraz from Blewitt Springs in McLaren Vale. This is dense and lengthy with blackcurrant fruit (fresh from the hedgerow) but has remarkable lightness too, like an overweight ballet dancer. A striking, delicious wine that’s fleet of foot and very approachable but ultimately has substance and significant bulk. The Ministry of Clouds wines are distributed in the UK through The Knotted Vine.